Prehistoric warfare refers to war conducted in the era before writing, and before the establishments of large social entities like states. Historical warfare sets in with the standing armies of Bronze Age Sumer, but prehistoric warfare may be studied in some societies at much earlier dates. When humans first began fighting wars is a matter of debate among anthropologists and historians. The answer to this question is dependent on the definition of "war" itself. Of the tribal societies still in existence today, some lead lives of great violence, frequently raiding neighboring groups and seizing territory, women, and goods from others by force. Other groups, such as the Bushmen of the Kalahari, live in societies with no warfare and very little murder. Common among those groups that engage in warfare is that war is highly ritualized, with a number of taboos and practices in place that limit the number of casualties and the duration of a conflict, a situation known as endemic warfare. Among tribal societies engaging in endemic warfare, conflict may escalate to actual warfare every generation or so, for various reasons such as population pressure or conflict over resources, but also for no readily understandable reason. War-like conflict may pre-date the origin of modern humans, and this hypothesis is supported by observations in chimpanzee societies. In the earliest hunter-gatherer societies of Homo erectus, population density was probably low enough to avoid armed conflict. The development of the throwing-spear, together with ambush hunting techniques, made potential violence between groups very costly, dictating conflict avoidance, which involved groups moving apart as far as possible to alleviate resource competition. This behaviour may have accelerated the migration out of Africa of H. erectus some 1.8 million years ago as a natural consequence of conflict avoidance. This period of "Paleolithic warlessness" would then have persisted until well after the appearance of Homo sapiens some 0.2 million years ago, and probably ended only with a shift in societal organization in the Upper Paleolithic. At this stage, the mobilization of a raiding party for the purpose of raids on another shifts the tactical advantage from defenders to attackers, capitalizing on the advantages of surprise and numerical superiority. Of the many cave paintings from the Upper Paleolithic, none depict people attacking other people. There is no known archaeological evidence of large-scale fighting until well into the Aurignacian. Warfare originated independently in other parts of the world as late as 4,000 years ago. The Neolithic was a period in the development of human technology that is traditionally considered to begin with the rise of farming and ending when metal tools became widespread. Although the Neolithic occurred at different times in different places around the globe, evidence exists that there was warfare during this time period. Compared to the subsequent Bronze and Iron Ages, the Neolithic is characterized by small towns, stone versus metal technology, and a lack of social hierarchy. Towns are generally unfortified and built in areas difficult to defend. Skeletal and burial remains do not generally indicate the presence of warfare. Evidence of Neolithic warfare is evident in the Talheim Death Pit in Talheim, Neckar (Germany) where archaeologists believe a massacre of a rival tribe was conducted approximately 7,500 years ago. Approximately 34 people were bound and killed, predominantly by a blow to the left temple. The Talheim site is one of the earliest indications of warfare in Neolithic Europe. The Māori of New Zealand are notable for the thousands of fortifications constructed to enhance a group's standing in the near continuous fighting on their islands in the South Pacific. In an era before siege weapons had been developed to a high level of technological complexity, and when attackers had limited supplies and time to spend engaged in battles, fortifications seem to have been a successful method of securing a population and livestock against invaders, though the fields and homes would likely be pillaged by the attackers. These substantial fortifications show that there was considerable social organization in the societies of prehistoric peoples. This is indirect corollary evidence for them also having been capable of conducting organized warfare. 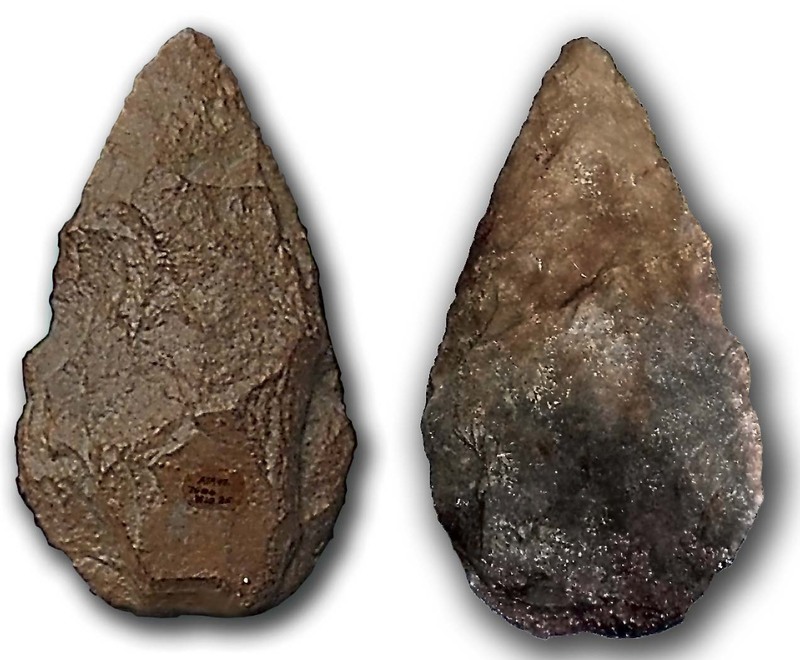 The onset of the Chalcolithic (Copper Age) saw the introduction of copper daggers, axes, and other items. For the most part these were far too expensive and malleable to be efficient weapons. They are considered by many scholars to have been largely ceremonial implements. It was with the development of bronze that edged metal weapons became commonplace. ↑ Keeley, pg. 28. "Three independent cross cultural surveys of representative samples of recent tribal and state societies from around the world have tabulated data on armed conflict, all giving very consistent results. The results indicate that 90 percent of the cultures in the sample unequivocally engaged in warfare and that the remaining 10 percent were not total strangers to violent conflict." ↑ Kelly, Raymond (October 2005). "The evolution of lethal intergroup violence". pp. 24–29. Digital object identifier:10.1073/pnas.0505955102. PMC 1266108. PMID 16129826. Bouthoul, Gaston. Traité de polémologie: Sociologie des guerres. Paris: Payot, 1951 (2nd edition 1970). Guilaine, Jean. Jean Zammit. Le sentier de la guerre : visages de la violence préhistorique. Paris : Seuil, 2001. LeBlanc, Steven A., Prehistoric Warfare in the American Southwest, University of Utah Press, 1999. Pauketat, Timothy R. North American Archaeology 2005. Blackwell Publishing. Rafael Karsten, Blood revenge, war, and victory feasts among the Jibaro Indians of eastern Ecuador, 1923.